MANSFIELD — In a clash of two perennial swimming powerhouses, the Colonel Crawford Eagles traveled over to Friendly House to meet up with the Lexington Minutemen. Both the boys and the girls squads from Lex came out on top on the afternoon. On the boys side, it was the Minutemen prevailing; 128-55 and Lady Lex defeating the Lady Eagles by a tally of 119-57. The two squads from Colonel Crawford won three events on the night. Crawford’s boys team won their first event on the day in the 200-yard medley relay. The foursome of Kyle Taylor, Keton Pfeifer, Nic Motter and Ken Fernandez finished slightly ahead of Lex with a time of 1:55.64. Over in the 100-yard freestyle, freshman Taylor won with a time of 55.80. The final event victory of the dual came in the 500-free when Motter earned first with a time of 5:28.11. Other results for the boys were: Nick Barnes, Zach Leonhart, Marcus Fagan and Keenan Wilson- 5th, 200-medley relay; Fernandez- 3rd, 200-free and 5th, 200-IM; Barnes- 5th, 200-free and 5th, 500-free; Wilson- 6th, 200-free and 5th, 100-free; Fagan- 4th, 200-IM and 4th, 100-fly; Motter- 2nd, 50-free; Pfeifer- 3rd, 50-free and 2nd, 100-breast; Andrew Johnson- 5th, 100-fly and 5th, 100-back; 200-free relay (Pfeifer, Wilson, Taylor, Motter), 3rd; Johnson, Leonhart, Blake Scribner and Brandon Britt- 200-free relay, 5th; Taylor- 3rd, 100-back; Kevin Phillips- 6th, 100-back; Leonhart- 3rd, 100-breast; Jacob Barnes- 5th, 100-breast; Scribner, N. Barnes, Johnson and Fagan- 3rd, 400-free relay; Britt, Phillips, Leonhart and J. Barnes- 5th, 400-free relay. For the Lady Eagles, the first win of the day came when Jillianne Gregg won the 50-free with a time of 25.96. The other two victories came from freshmen Kaisey Speck. Speck took first in the 100-fly in 1:03.86 and the 100-breast in 1:11.80. Relay results for the girls were: Cassidy Vogt, Speck, Gregg and Pierce Krassow- 2nd, 200-medley relay; Karlie Kurtzman, Drew Krassow, Emma Swisher and Hailey Ratliff- 4th, 200-medley relay; Bailey Dixon, Kennedy Speck, Alison Manko and Chloe Carman- 5th, 200-medley relay; Vogt, Kaisey Speck, P. Krassow and Gregg- 2nd, 200-free relay; D. Krassow, Dixon, Jayden Ward and Ratliff- 4th, 200-free relay; Izzie Stalter, Alana Burkhart, Cecelia Wurm and Mikayla Williamson- 5th, 200-free relay; Manko, Kurtzman, Ratliff and Ward- 3rd, 400-free relay; Carman, Swisher, Kennedy Speck and D. Krassow- 4th, 400-free relay; Stalter, Wurm, Williamson and Dixon- 6th, 400-free relay. Other individual event results for Crawford were: Ward- 2nd, 200-free and 3rd, 500-free; P. Krassow- 5th, 200-free and 4th, 100-free; Carman- 6th, 200-free and 6th, 100-free; Kennedy Speck- 4th, 200-IM and 6th, 100-breast; Manko- 5th, 200-IM and 6th, 500-free; Swisher- 6th, 200-IM and 6th, 100-fly; Vogt- 3rd, 50-free and 3rd, 100-free; Ratliff- 6th, 50-free; Gregg- 4th, 100-fly; Kurtzman- 5th, 500-free and 3rd, 100-back; Dixon- 4th, 100-back; Katie Jones- 6th, 100-back and D. Krassow- 4th, 100-breast. 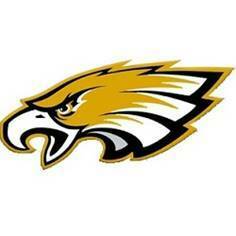 The Eagles team are set to hold the annual Colonel Crawford Relays on Saturday, December 16.